A graduate in Applied Microbiology with PhD in skin cancers he has had an interesting career in research, development and methods in traditional, rapid and real-time microbiological, particulate and facility environmental monitoring. His previous experience includes similar roles within SHS, Biomerieux, Merck and BD. 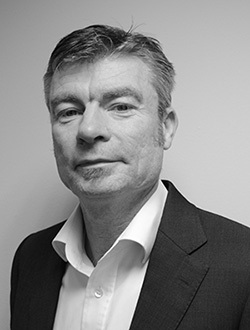 Having joined EMS in 2012, he is responsible for sales, market and business development of PMS technologies into the UK life science and microelectronics sectors. He enjoys the daily dialogue of science and business with interested and interesting clients, and sharing the expertise, experience and company of excellent colleagues in this growing Company. John started his career working directly for PMS Europe as a Field Service Engineer in 1999. Over the years he has had many roles to include Project Manager, Project Sales and Instrument Sales for PMS systems and equipment. John has been the UK Service Manager for EMS Particle Solutions since 2012. Jamie has worked with EMS for over 2 years as a Service Engineer and has acquired experience in Calibration, repairs and Facility Monitoring System integration. He brings with him a vast knowledge of optical sensors and particle detection.